You are here > > Events > COTER - Stakeholders' consultation on "Common Provisions Regulation"
COTER - Stakeholders' consultation on "Common Provisions Regulation"
The European Committee of the Regions (CoR) has decided to prepare an opinion on the proposal for the "Common Provisions Regulation", that was presented by the European Commission on 29 May 2018 (COM(2018) 375 final). 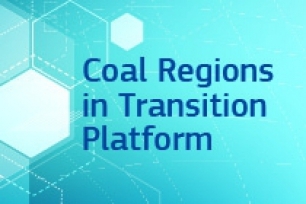 We are pleased to announce that Ms Catiuscia MARINI (IT/PES) and Mr Michael SCHNEIDER (DE/EPP), the two co-rapporteurs for the CoR opinion on the matter, would like to meet with representatives of local and regional associations and other stakeholders for a consultation and an exchange of views on the relevant topic of this opinion. The consultation meeting will take place on 12 September 2018 from 11:00 to 12:30 in the European Committee of the Regions building (Rue Belliard 99-101, 1040 Brussels), room JDE 51. Interpretation will be provided in English, Italian and German (tbc). In addition, if you have any position papers relevant to the subject, you are kindly invited to send them by email to coter@cor.europa.eu. Registrations are open until 11 September.